Step 1 Poke a hole in the top and the bottom of each egg. Working over a sink or bowl, blow the yolk out. Rinse eggs (be sure to blow excess water out) and let dry. Step 2 Brush egg with a thin layer of craft glue. Gently set egg in bowl with glitter and roll to coat. 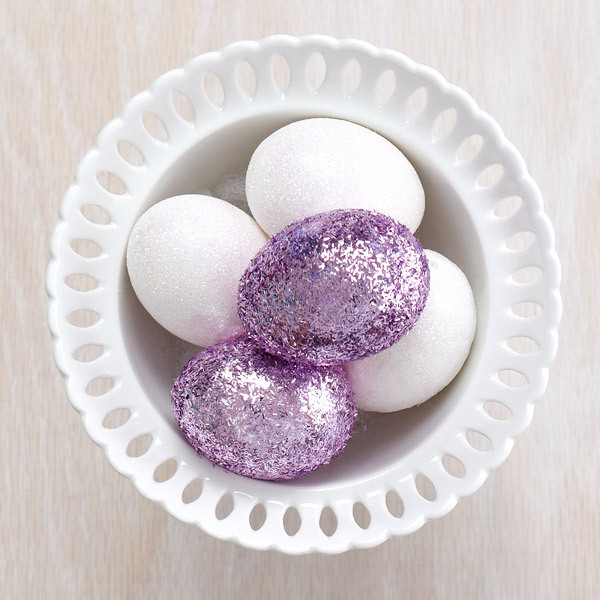 For a more evenly glittered egg, repeat process once the first coat dries. I used two different styles of glitter – tinsel and fine grain – for visual interest. 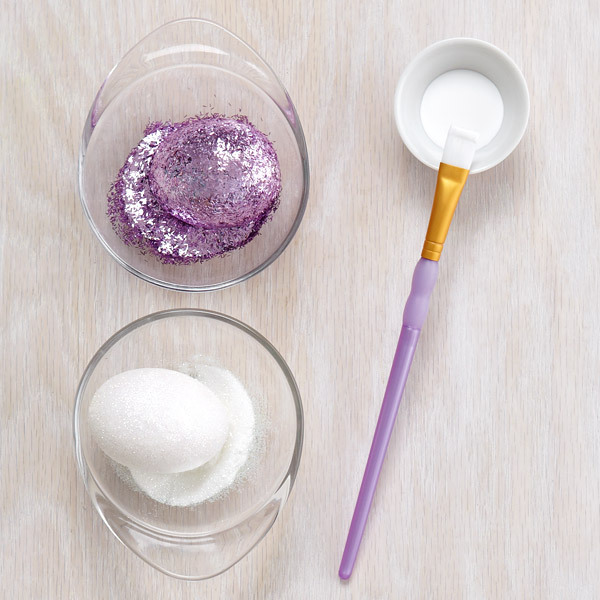 Tip: if using more than a single glitter color, work with one at a time. 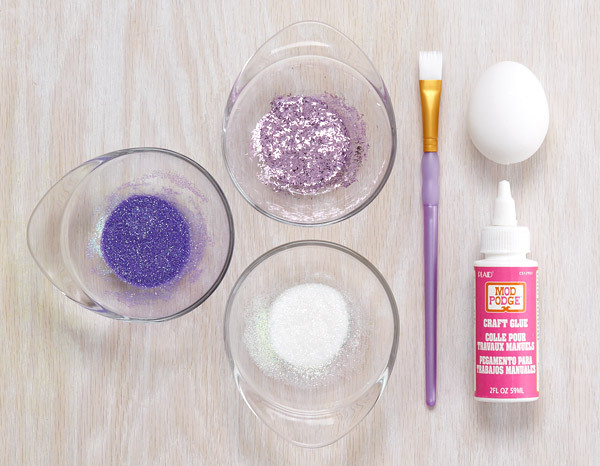 This keeps eggs from picking up random bits of other glitter colors. That’s it. Put all your eggs in one basket or no basket at all! Add ribbons for an adorable addition to an Easter tree. I displayed mine in a milk glass bowl pedestal for a more modern take on the traditional Easter display.